Review: A film that had the potential to be an exciting story about a fight for survival. When in reality, it was a fight for the retention of concentration and to stay focused on the film. A struggle to resist the urge not to drift away due to sheer boredom of what was going on screen as a father and son duo battle to survive on what was once Planet Earth. It should have been an exciting adventure, the reality is that it was far from that. With the Smith father and son duo being basically the only actors in this film, the film needs to have those two to be strong characters in order to carry the film through, and this was simply not the case. On the one hand, Will Smith was a very distant and emotionless character. He showed no emotion even to his own son and this made him a very distant and boring character to watch. Similarly, Jaden Smith’s character was equally uninteresting and borderline annoying at times. It is obvious that his character has something to prove, but he just lacked sincerity and conviction when delivering his lines. As a result their father-son bond that is central to the entire film was insipid and made the film almost painful to watch. Shyamalan’s previous films are generally slow in terms of plot but some of them have had good acting in them and there was intrigue in his earlier work, the likes of The Sixth Sense come to mind. These films were slow except they were good. 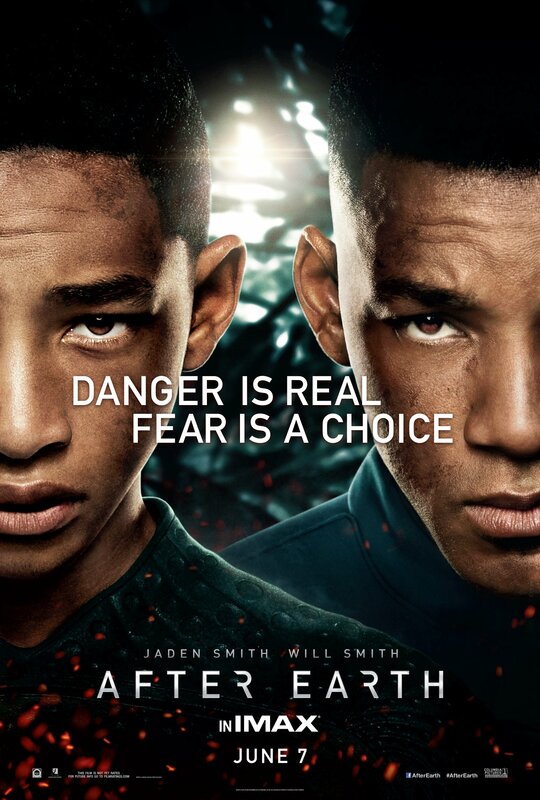 Yet, with After Earth again the plot was slow, except this time the intrigue was just not there as the two main actors were just uninteresting to watch. The chemistry between them was nowhere to be seen due to Will Smith’s emotionless character and the film suffers as a result, and it suffers badly. To the film’s credit the scenery of an uninhabitable post human Planet Earth is something to behold. No humanity is left and the planet is just a vast jungle. However, the CGI is at times, completely bland. The majority of the creatures that occupy the planet are just not convincing. In a world where Avatar and the like has shown us what CGI is capable of giving cinema, yet the CGI on show in After Earth was just mediocre. A decent score accompanies the film but it is not enough to redeem it from the overall mess that this film is. A visually impressive world, minus some of the predators, is ultimately buried in a slow and tedious plot with tedious and annoying characters. The once great career of M. Night Shyamalan has slowly descended and After Earth may well be the final straw for many people. There was something great in the potential of this film, but that greatness frittered away into blandness and mediocrity. Visually it’s impressive, but the woeful acting from Jaden Smith, with a very weak script makes this another nail in the coffin of Shyamalan’s career.